WASHINGTON — President Donald Trump’s budget for fiscal 2018 restores his signature issue of building a wall on the southern border with $2.7 billion for border security, including 74 miles of a physical barrier, most of it in Texas. The proposed budget for the Department of Homeland Security calls for $1.6 billion to build 74 miles of wall — new barriers, including 32 miles in the Rio Grande Valley and 28 miles to continue a levee wall in Hidalgo County that would do double duty for flood control and to stop illegal crossings. The remaining 14-mile stretch is slated for San Diego, California. 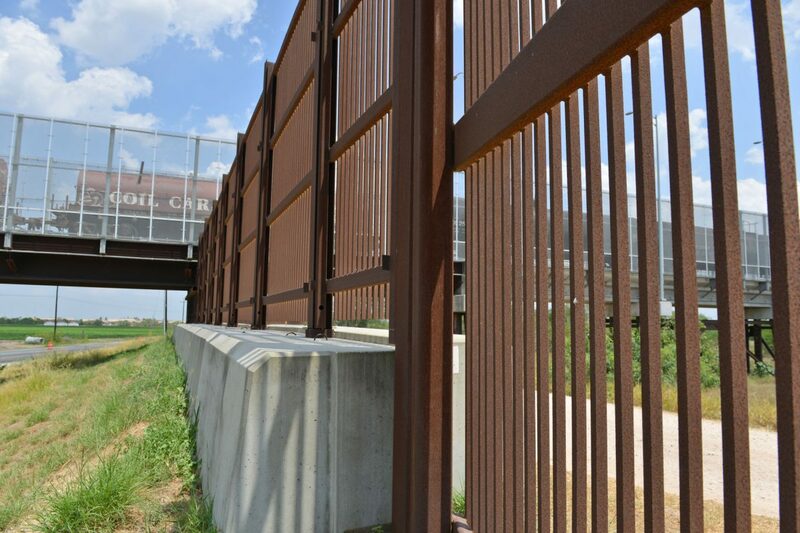 There is already 654 miles of fencing on the U.S.-Mexico border. The White House had recently backed off funding the wall in the 2017 omnibus bill — that funds the federal government until Oct. 1 — when Democrats refused to agree to the package if it was included. The administration’s go-to approach on the wall comes as U.S. Customs and Border Patrol is evaluating bids on prototypes for barriers, either made of concrete of some “other” material. “I think we’re going through a competition right now, and I think there are either four or eight . . . different prototypes that are in the process of being designed and built right now,” said Mulvaney, who added that different types of barriers would be used in different sectors, depending on the geography of the area. The budget includes $1.5 billion for funding detention centers and for transportation to return immigrants entering the United States illegally to their countries. It is equally a priority for Democrats to fight the wall. Cuellar had been willing to support the levee wall after local officials backed it but he said that the local water district has now passed a resolution against it. He will meet with McAllen officials Friday, he said. U.S. Rep. Lloyd Doggett, D-Austin, referred to the cost of the wall — estimated from $15 billion to $25 billion — and Trump’s campaign pledge to make Mexico pay for it. Republicans, however, who have the majorities in the House and Senate, have the numbers to approve the funding. U.S. Rep. John Carter, R-Round Rock, chairs the House Appropriations Committee on Homeland Security which will determine the level of border security funding in the House bill. “I’m grateful to finally have a president committed to rebuilding our military, defending our borders and securing our great nation,” said Carter. Senate Majority Whip John Cornyn, R-Texas, who has spoken out for a “layered” approach on the border, not relying solely on a wall, chaired a hearing Tuesday before the Senate Judiciary Committee’s Subcommittee on Border Security and Immigration. “The fact is our borders are still porous, and we have not done a good enough job of making sure that the Department of Homeland Security has the resources you need in order to get the job done,” Cornyn told Ronald Vitiello, acting deputy commissioner of U.S. Customs And Border Protection. “If we really want to secure our borders, and I think the voters in this last presidential election indicated they did, we must be willing to devote the necessary level of funding to achieve it,” said Cornyn.